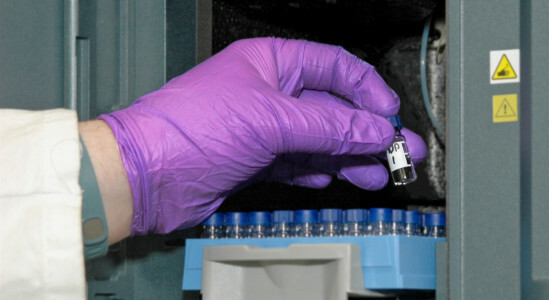 Predictive assays or calculations are established approaches to understanding a drug’s potential bioavailability. A key physical property to understanding this is polar surface area, sometimes discussed as hydrogen bond availability. The most common way of evaluating this is to calculate the structure’s Topological Polar Surface Area (TPSA) 1. While valuable for rank ordering similar molecules, TPSA suffers by not accounting for conformational changes in a molecule in solution and does not account for potential Intramolecular Hydrogen Bonds (IMHB). EPSA, developed by Gilles Goetz et al at Pfizer2,3, is an exposed polarity measurement analogous to polar surface area that accounts for the conformational changes in solution. This method assesses polarity by retention time using controlled Supercritical Fluid Chromatography (SFC) conditions in a standardized method. By operating in a less polar solvent system that is conducive to IMHB formation, SFC yields an EPSA measurement that more reliably reproduces data from membrane permeability assays. Averica is the first contract research lab to offer the EPSA assay, an extension of our deep expertise in SFC technologies and methods. Contact us and learn how you can use EPSA to advance your program.